Lock in a great price for The Red House – rated 9.3 by recent guests! The staff there was the best! They were very attentive and were generally very helpful. 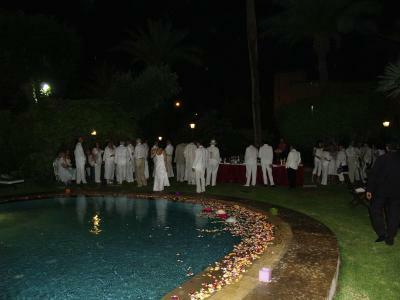 The location was great -- a little oasis just outside the Medina so you could relax after a long day of sightseeing. The free breakfast every morning was amazing. 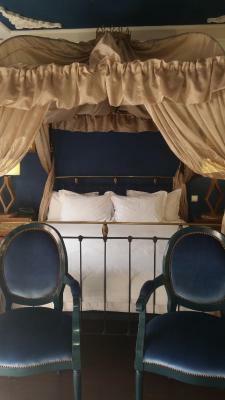 Lovely authentic boutique hotel. Great location with a short walk to the main square and the Médina. Quiet with a pleasant pool. We enjoyed the Hammam with Aziza. The staff (including Abdel and Mohammed) was very accommodating and even kept our suitcases while we took a 2 day trip to Casablanca. The free car service to the airport was a very pleasant surprise. The staff are great at the red house ! They are friendly and always helpful. The location is great close enough to walk to the Médina but yet away from its madness ! Booked this hotel for my little one's baby sitter as we were staying at the Royal Mansour and this hotel was just walking distance from ours. It's also not too far from Jemaa el fnaa and the mosque so overall good location. Good location, beautiful grounds, attentive staff and manager. Beautiful old French mansion. Close to medina. Very nice and tasty restaurant. Large, comfortable room. Very helpful concierge (Mohammed). Free airport shuttle. 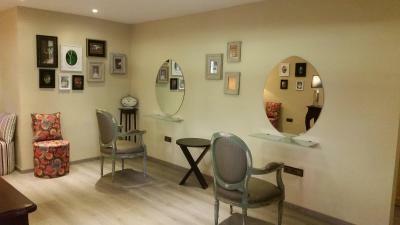 Elegant old home, converted into "boutique” hotel and conveniently located to both new town and the medina. Spacious rooms. Superb breakfasts, served in our room. Located in l’Hivernage district is a big bonus, multiple fine restaurants and lounges at walking distance. 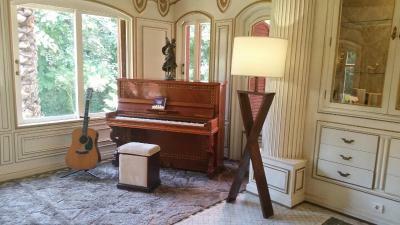 The staff at The Red House were unbelievable- helpful, incredibly accommodating, knowledgeable, and fun. They helped us with several arrangements and went out of their way (all of them) to make things happen- like when we went on a wild goose chase for bathroom fixtures and drove around until we found the places I had remembered from the year before- AND THEN! out lovely driver took our items back to the hotel for us after dropping us at Jemaa el-Fnaa so we could continue on. Very unfortunately we did not have time to have a proper dinner in the restaurant. BUT! The night we arrived, late and tired from all day travels from NYC, the staff accommodated us with a super fresh and healthy salad, sandwich, fruit and cookies; it was delicious and uncomplicated and just right. We will return for sure!! where to begin...room amazing. breakfast amazing. service 5 star. hotel manager Abdel will go beyond and above to make your stay stress free. 5 star hotel and service but a chill and relax vibe. One of our top picks in Marrakesh.Centrally located in the heart of the Hivernage district, this luxurious palace offers comfortable rooms and a warm atmosphere. It includes free Wi-Fi and free parking. Rooms at The Red House are spacious and come fully equipped with modern comforts including TV, private bathrooms and air conditioning. 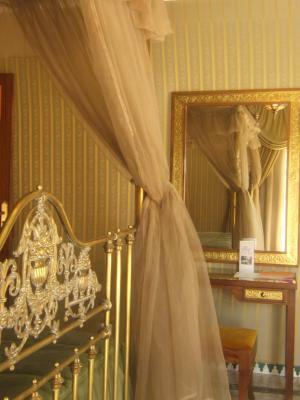 The entire hotel has been elegantly decorated with traditional architecture. The friendly and attentive staff will make your stay as comfortable as possible. A peaceful garden and swimming pool are ideal places to relax in at the end of the day. 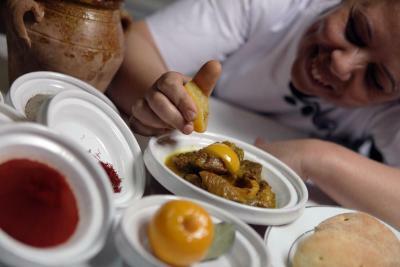 Breakfast is served daily at The Red House and quality Moroccan cuisine is available in the hotel restaurant. It is walking distance to the medina and local sites including Jamaâ El Fna Square. Hivernage is a great choice for travelers interested in sunshine, friendly locals and ambiance. This is our guests' favorite part of Marrakesh, according to independent reviews. This property also has one of the top-rated locations in Marrakesh! Guests are happier about it compared to other properties in the area. This property is also rated for the best value in Marrakesh! Guests are getting more for their money when compared to other properties in this city. 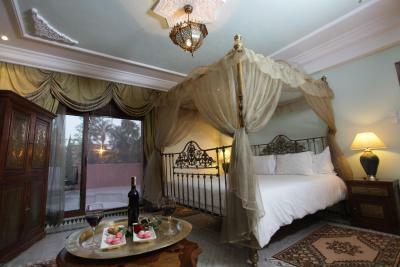 뀐 Located in the top-rated area in Marrakesh, this property has an excellent location score of 9.4! When would you like to stay at The Red House? This spacious suite has 2 bedrooms, 2 bathrooms, a walk-in closet, a living area with a dining table and a TV. 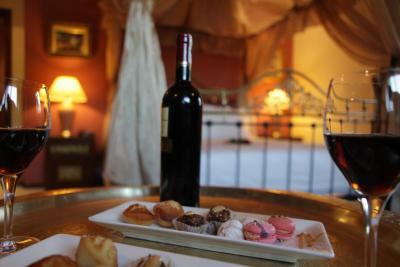 It also has a large terrace with a view of the Atlas Mountains and the city walls. These air-conditioned suites have a fridge and a flat-screen TV with satellite channels. Some have a terrace, a sitting area or 2 bathrooms. This room has a king size bed and a private bathroom with a shower and separate bathtub. It is decorated in warm colors and has free Wi-Fi access. Area Info – This neighborhood is a great choice for travelers interested in sunshine, friendly locals and ambiance – Check location Excellent location – show map Guests loved walking around the neighborhood! House Rules The Red House takes special requests – add in the next step! One child under 12 years is charged EUR 32 per night when using existing beds. All children under 12 years are charged EUR 32 per night for extra beds. Any additional older children or adults are charged EUR 54 per night for extra beds. The Red House accepts these cards and reserves the right to temporarily hold an amount prior to arrival. One of the most picturesque neighborhoods in Marrakesh! Wonderful location to go to the Medina and new town. Very spacious rooms. Wonderful staff especially Mr Abdil who always had our comfort and well being in mind. The restaurant is fantastic as well. 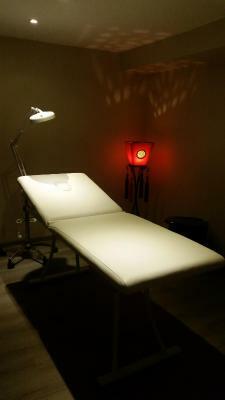 We tried out the hammam and massage which was great. I would highly recommend this property for families and single travellers. Excellent place to stay. The stuff and service is outstanding and extremely helpful. We will definitely come back! Amazing restaurant with life music in the evening, delicious food and very authentic atmosphere. Excellent hotel. Restaurant excellent as well. Staff very friendly and experienced. Free airport transfer. Everything from the location, the place itself is beautiful, the staff really go out of their way to make your stay as comfortable as possible and the Hotel Manager Abdel was probably the best hotel manager we ever encountered in our travels. We would definitely stay here again when in Marrakesch. Excellent staff; very attentive and incredible food. Beds were were all comfortable. Only thing to improve would be to have tea in the room not just coffee, plus some cups. I genuinely can’t think of a criticism for this hotel. Marrakech is a busy city, with the heat and the bustle of the marketplace both mentally and physically exhausting. Which is its charm, and why people come to visit this beautiful and historic destination. Having visited Morrocco twenty years ago all I could remember was how exhausted I was by the end, and so it was really important for me to find a place where my partner and I could relax and unwind. The Red House is a real find. 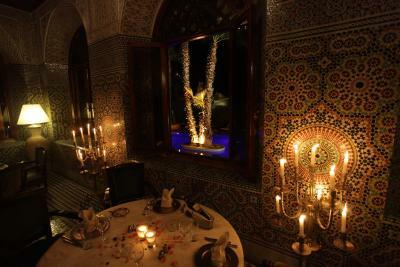 As a restaurant, and as a hotel, it really does represent the best of what Marrakech has to offer. The Red House is formerly a private home, and is decorated elaborately in the traditional style. The dining room is one of the most beautiful rooms I have ever eaten in. 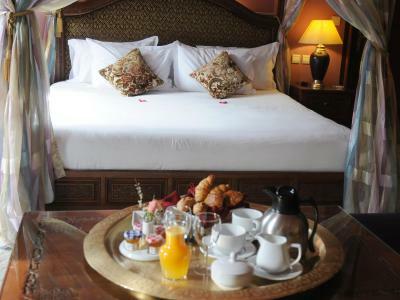 The rooms themselves are traditional yet effortlessly luxurious and comfortable. And with only a handful of rooms it feels private and relaxed. Breakfast is a real highlight, probably one of the best I have ever been fortunate enough to enjoy in any hotel - and I travel very frequently. The whole team really are the very best, professional, cheerful, hospitable and knowledgeable. The pool area and garden feels like your own private villa, with only a handful of rooms even when half the hotel is around the pool you’re only sharing the large and relaxing area with two or three couples. It makes for a private and peaceful experience that you seldom get these days unless you rent your own property. Restaurant wise I was very impressed. We dined at another top restaurant the first night which was fantastic, but I was glad we came to The Red House on the second, as the standard was much higher. They serve a mixture of traditional and international dishes, a separate chef for each, and the food is really very good indeed. I had lamb tagine, which is a bit of a stable here, but the quality of the meat, the date and almond sauce, and the overall presentation and accompaniments made this the best meal I’ve had in the country. Our stay in the red house was excellent. I couldn’t have asked for more and I would go back in a heart-beat. The hotel is situated in the hivernage area but really close to the Medina so you can get the best out of the 2 worlds (old & new world). Our room was great, very tranquil with views to the swimming pool and a big terrace. The swimming pool was quite big too and catches lots of sun in the evening time. The concierges were very helpful and friendly. Dinner in the spectacular dining room was delicious and very special. Breakfast was the best breakfast that I’ve ever had. Absolutely everything was delicious and I really liked the way that you order your breakfast the day before so in the morning they know exactly what you want! Some of the wait staff could be surly and didn't share Abdel's enthusiasm to all guests - generally I was treated very well, but my husband had a few very grumpy exchanges with one of the older waiters, which was a shame. I think our limited (but enthusiastic) French may have been a factor in this, but we did try! There was a bit more road noise than I would have liked but that is just Marrakech for you, I don't think there is much the hotel can do about that! The pool itself was a little too cool for swimming (mid-March) if you're like me and not a sunbather who over bakes and needs a cold plunge to refresh, but that is a seasonal point and I did dip my legs in a few times to cool them down. In our room the shower cubicle did like to leak onto the floor a fair bit and I did notice some damaged fascia under the sink, but otherwise a great bathroom and the room facilities were good. Abdel was an absolute star, genuinely happy to help and showed the true spirit of Moroccan hospitality at all times. We could not have been made more welcome by him and mostly his team followed his example. Abdel arranged two trips for us - a guided tour of the souk in the Medina and a three valleys road trip to the Atlas mountains. Both were enjoyable and I would recommend. The ladies in the spa also provide an excellent hammam with necessary adaptation for my pregnancy (kept it cooler than usual for me, adapted to mostly lying on my side, not my back for long at all) and my husband enjoyed his massage. The room was very comfortable and the minor flooring issues are on the agenda to be fixed in the next couple of weeks, it wasn't even anything more than a little wear and tear on the laminate in our room, but with such a busy hotel it is easy to see how these things can wear out. There was not one room free for any of the 7 nights that we stayed! The dining was all excellent - both the Moroccan and international menus at dinner (we had almost all the Moroccan dishes and about half the mains from the international) and both items we had from the pool menu were wonderful. 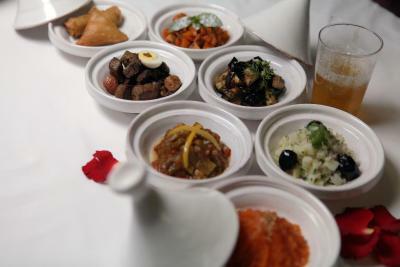 The portion sizes were also very generous and many who visited just to dine took takeaway trays of their leftovers. We ventured out a couple of times and nowhere else matched up at all really, hence we ate in the Red House so much! Even if you choose not to stay here, or there is no available room for you, I'd recommend you go for dinner. The gardens were lovely to take breakfast in and to lounge beside the pool, and full of friendly birds to watch flitting around. 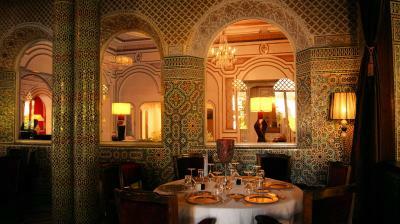 The dining room and reception areas are beautifully decorated in the traditional style with wonderful mosaics and lovely seating. Abdel and the team were all superb. The Royal suite was massive and had two bathrooms which made getting ready to go out very easy. Breakfast was incredible and the staff were happy to serve it whereever you wanted to sit, be it in your room, the restaurant or poolside. Great Breakfast, great location, Wonderful assistance from Abdel.